I could just stop there, but I won’t. It has become a revolving theme this season. With the exception of the games against, #1 Villanova and #2 Michigan State, DePaul has been in every game with the top 85 programs (see how I got Illinois included in this discussion). Every one of them. DePaul has also lost every one of them. EVERY ONE OF THEM. Late losses to Oregon, Northwestern, and now Xavier came down to a possession or two of execution, and in all games, the Blue Demons failed. Against Oregon, DePaul had the ball in a tie game with less than a minute with the possession ending on a Eli Cain missed Jumper. Against Northwestern, DePaul had the ball down 2 with 4 seconds to go with the GAME ending on an Eli Cain missed Jumper. Against Xavier, a top 16 kenpom.com team (rated 6th in the AP), after blowing the large lead, DePaul still found themselves with the ball down by 3 with a chance to tie. 22.4 seconds left, plenty of time to do a variety of things. The Demons could go for a quick 2 and foul Xavier (THE 2ND BEST TEAM IN THE COUNTRY AT SHOOTING FREE THROWS), or they could hold the ball and go for a 3 pointer, or try a quick 3 to tie and if missing hope for a rebound, and still have time to do options 1 and 2 again if necessary. Want to guess what they did? The play started out nice enough, get the ball to Roberts to Strus who tosses to Cain to set up the play. Strus then loops from the left wing of the court along to baseline through a couple of picks to get in the right corner. Xavier showed well enough to discourage Cain from passing to Strus. At this point the play is dead and you have lost option 1. The only option is to take a 3; Leitao should’ve considered calling a timeout to reset. Instead with 10 seconds left, the Demons elected to have Eli Cain take a driving 2 pointer. Of course, Eli Cain missed the stupid jumper (which was blocked by JP Macura), and since they waited to take the stupid jumper with less than 10 seconds, they didn’t have time to fix their stupid situation, because they HAD TO FOUL, and they had to watch the 2ND BEST FREE THROW SHOOTING TEAM IN THE COUNTRY sink 2 nails in the coffin. Why the holy hell is Eli Cain taking the last shot? The Eli Cain who shot 1-9 from the Field in this very game. The same Eli Cain who was shot 1-10 in the Northwestern game and was still the choice to take the last shot in that damn game? Question 2: Coach Leitao, why the hell didn’t you call a timeout once it was clear that the play that was called was not going to work? Once the clock went below 10, the Demons had to make a 3 pointer. Question 3: Eli, why aren’t you doing anything to get the ball to someone else once you decide to take action. Roberts was right behind you to your slight right. He was WIDE OPEN. Roberts had been killing it all day, why not kick to the kid? If Xavier reacts to Roberts, Roberts could still make another pass to Strus in the corner or drive and kick. Question 4: If the plan was to have Cain drive, why not get one more shooter out there to spread the floor? Cain drove into heavy traffic, and Macura did make a great play by contesting and not allowing an AND-1. Oh yeah, I forgot that we do not have any reliable outside shooters other than Strus. 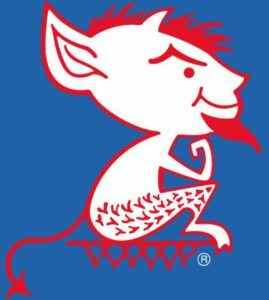 So, in the end, DePaul chose to not take either of the logical choices, and instead, chose to have our coldest, least confident player driving into traffic against Macura, (a sneaky good defender, who had already induced Cain into 2 charges) praying to make a shot, that even if it went in, would still leave the Demons behind by a point against the 2nd best free throw shooting team in the country. Idiotic. The Cintas Center was over capacity, and for large stretches it was largely silent. Obviously, DePaul beat the spread, which was 14.5, Kenpom expected a 15 point Xavier victory. The over did not hit. It has to be JP Macura. He was a difference maker on both ends of the court. He got into Cain’s head by inducing Cain into making 2 charges. Macura also got his hands on the last important shot of the game by playing smart defense. Additionally, on the prior possession, even though HE COMMITTED A FOUL that was not called, he made a great play to ‘steal’ the ball from a wild McCallum save that Maric was trying to catch. He then pivoted and lead a fast break to put Xavier up 3. That is making an impact. I was very impressed by his all around game. Also, he went 5-11 from the field with a perfect 8-8 from the line for 19 points, 5 assists, Zero turnovers, 2 Blocks and 4 Steals. What a stat line! I take back posting your perp photo. Nah. This should say: Xavier Guard caused two Charges. He caused disorder and obstructed a victory by DePaul. He murderd DIBS, and crushed what is left of Blue Demon Nation. There was so much good in the first 23 minutes of this game as the Demons lead by 8 at the break (should’ve been more), and stretched the lead to 16 in the first few minutes of the 2nd. DePaul held XU to 28.1% shooting including 18.8% from 3pt land in the first half. The Demons also forced 12 Turnovers. Conversely, DePaul shot 45.7% (below season average) from the field including 38.5% (above season ave.) from 3pt. land while committing 9 TOs. I am tough on the staff quite a bit, but I have to say, they clearly had a plan to push the ball on Xavier and beat them in transition, and it almost won the game. DePaul had Xavier on their heels for most of the first half. As soon as DePaul rebounded a missed shot they were off to the races. Roberts exploited this greatly once he got in, and even Maric got into the act as a 7 foot point guard or Stretch 5. Brandon Cyrus got two quick fouls, which was great since it allowed Roberts to come in early. Holy Hell, Justin Roberts was magnificient, especially in the first half. Xavier was clearly not ready for him. He pushed the ball and the tempo, and the X-men were caught off guard. He scored 10 points on 5-7 shooting with no turnovers and one assist in 16 first half minutes. 16 points on the day. What can you say about Max Strus? He is becoming a money player. I don’t think DePaul has had a player quite like him. There have been Tommy Kleinschmidt comparisons, but they don’t hold true because Tommy would bang and post people up, and occasionally go outside to raise Hell. Strus is more of start from the outside and work back in type of a player, and when the outside stuff is falling, watch out! He has a different game from Quentin Richardson, Bobby Simmons, and Drake Diener. He is unique and fun to watch. He went 10-16 from the field including 6-12 from 3pt. land. He was clearly frustrating the Musketeers. I enjoyed seeing a few heads shaking after they defended him perfectly, and he still scored. He only had 2 Turnovers on a night in which Turnovers killed the game. He had this sweet play, but in typical DePaul fashion, failed to complete the 4 point play. Of course on the possession that preceded the 22.4 second possession, Strus had a reckless drive that he lost the ball on. If he were a little more in control, maybe this post goes a little differently. The crap-show that was the last 17 minutes was a combination of all things bad. Xavier wisely began pressuring our guards as soon as the went past half court. If you didn’t know this already, DePaul’s dirty secret is that we do not have any true point guards on our roster. Shhhhhh, don’t tell anyone. DePaul took too many shots early in the possession. 7 of our missed field goals were taken in the first 15 seconds of the shot clock. Of the 6 field goals we did make in the last 17 minutes, 5 were shot in the first 11 seconds of the clock. DePaul was a foul machine in the 2nd half. Xavier went to the Bonus with 14 minutes left in the half. This lead to XU have 15 free throw attempts in the 2nd half. Although they went 10-10 in the first half, they only went 9-15 in the 2nd half. 14 Turnovers in the last 17 minutes of the game. There were horror sequences. Below are my two most favorite craptastic offensive sequences. Cain take a horrible shot with 22 seconds on shot clock, which leads to XU fast break layup. Strus misses a quick 3 pt. attempt (23 secs on shot clock), but DePaul gets offensive Rebound. After have an effective 13 minutes against Villanova, Paul Reed did not get on the floor. Rychbosch was unavailable. So it was kind of a head-scratcher, other than maybe things were going so well, that he was not needed. So far, Austin Grandstaff has not been able to string 2 games together. In 10 minutes of play, he went 0-3, including one horrific corner 3 attempt that went off the top of the backboard at a key part of the game when the wheels were falling off. He did have 2 sweet assists. ‘Not Hot Takes’ can see the future. #Depaul up 14 on #Xavier. Come back in 30 minutes to watch my heart get ripped out. 2. Yep, this is how we feel. 3. Got to give myself an occasional shout out. We have to beat Georgetown later this week. WE HAVE TO BEAT GEORGETOWN.